In the interest of full-disclosure, I have to confess that I have been a fan of the Chicago White Sox baseball team since I was 5 years old. So when a friend told me that their former manager Ozzie Guillen, the man who piloted them to their first World Series Championship in 88 years, was featured in a book about management, well, I was first in line at my bookstore (it was a short line). Guillen, for those of you who aren’t baseball fans, is the fiery Venezuelan former Major League shortstop who left the White Sox at the end of the 2011 season, joined the Miami Marlins for the 2012 season, and promptly made news by speaking well of Fidel Castro to a local reporter. That went over about as well as you would think. (And a note here about the use of the adjective “fiery” – one that many Hispanics find insulting because it seems only to be used when describing them and rarely with any other ethnicity. I understand that. But even Hispanics think Guillen is “firey”. Habanero peppers think Ozzie is firey. Fire thinks Ozzie is firey). That said, however, there actually are a few interesting management tips – or at the very least, observations – that Guillen employs which may be useful to you. For example, first and foremost, Ozzie believes that his job is to protect his people. Not to win games. Not to out-think the other team. But to stand between his players and everything he perceives as being a distraction from getting their work done. (For him, that’s primarily the press and the front office; what it is in your business is for you to figure out) Thus for Guillen, a lot of what the public views as his outrageousness is simply his attempt to keep the attention off of his players so they can stay focused on one thing – winning. Because the way Guillen looks at it – the players are the ones who can win the game. Not the front office, not the fans, and certainly not the manager. Defensive strategy, batting orders, and on-base percentages against left-handed pitchers in domed stadiums on weeknights are nice, but really, it’s the guys on the field who get it done. So as a manager, you do everything in your power to make sure they can. Or said another way, see Belief #1. Of course, if you’re going to say this, it helps if 1) you’ve personally legitimized it by winning a World Series and/or 2) you have as outsized a personality and love of the spotlight as Ozzie does. Of course, these are fairly basic observations, and you’re probably not going to walk away from Ozzie’s School of Management feeling as if you’ve encountered a whole new approach to success. And yet isn’t it incredible how often they are ignored? Who among us has not worked for someone who never told us the ground rules? Who among us has not tried to manage people who had no idea what business they were in? Heck, who among us has not wanted to drop a bomb and start over? 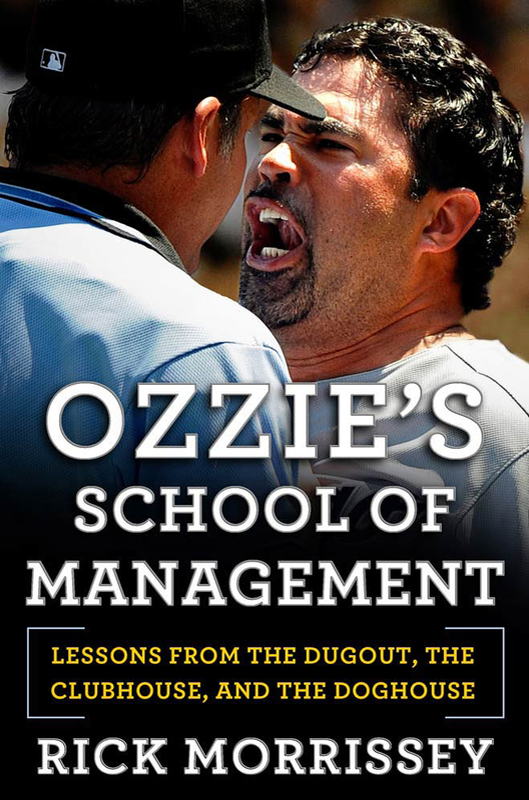 Ozzie’s School of Management: Lessons from the Dugout, the Clubhouse and the Doghouse by Rick Morrissey was published by Times Books on 5/22/12 – order it from Amazon here or from Barnes & Noble here – or pick it up at your local bookseller (find one here).